335i leather seats or leatherette? Which one do you prefer leather seats or leatherette? What are the pros and cons between the two? Building a 2007 BMW 335i, debating which seats are better before building. Last edited by tdo; 11-02-2006 at 03:43 PM. real Leather no other way to go. I curently have ette and it does stay new looking. However there is no replacing the real leather smell and feel. If you get the premium package the leather is included. You must get the premium and sport package. they are worth every cent. I like the NAV too. I prefer leather. Many people prefer leatherette (which also saves money.) Sit in a car equipped with each and see what you prefer. I have owned several BMW's including M3, 5 and 6 series. The leather grade quality in a 3 is not as nice as the leather in a 5/6/7 series. However, it is still nice. The leather in a 3 series looks very close to the leatherette. However, if you were to compare the leatherette to 5/6/7 series leather you would see an obvious difference. My point being, appearance wise, only the astute observer would notice a difference in the details, smell and feel of the two on a 3 series. If you get the vinyl seats, I would get black. However, I don't think you can get the vinyl seats with the sport pack. the ette on the e92 is nicer than the e46 version...i have black ette and its fine for me..if you plan on having the car for a while over 4 years...ette would be something to think about...leather does take some upkeep..if you plan on having allot of people in the car on a regular basis..the leather will get a good workout...some owners have no problem with it..but visit the pre-owned dept and see what a 3 or 4 yr old car with leather looks like..and consider they have had it detailed.. I'm not familiar with leatherette. What is it exactly? I don't think you can get the vinyl seats with the sport pack. yes, you can. see the pic below. not bad looking at all. i'd never buy a car with vinyl seats cus i love the look/feel/smell of leather but some people seem to like them. durability wise they are clearly better than leather. Last edited by zeroday; 11-02-2006 at 05:03 PM. Vinyl seats. Plastic not leather. 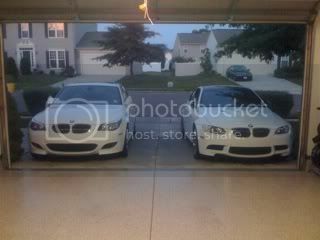 Mein Auto: 05 325i & 07 335i Coupe!! Im only going to lease my car for 2 years but I carry a lot of stuff in my back seat and trunk sometimes. (for my job) My leatherette I have now withstands the abuse pretty good but if I get coral red leather, will it scratch or tear easily? From the pictures posted in this thread E92 leatherette looks much better then pre E92 leatherette. Is the quality superior? If you have young kids, leatherette is the way to go. Most people cannot tell the difference anyway, unless they compare them side by side. I think the difference will be obvious after 3 years when the leatherette still looks like new. This is my signature. There are many signatures like it, but this one is mine. Is this true even if the leather is not perforated? Thanks. Leather is animal skin. It has pores like human skin. This is where you get the "breathability". If you are trying to save money and it means the difference between being able to get the car or not, then sure. If money is not the issue, I can't imagine choosing "ette" as a preferred seating surface. I know european taxis (Mercedes, etc.) have "pleather" because of their utilitarian function, but for a moderately high-end personal vehicle, I would think you would want to do it properly. Life is short. Enjoy. Last edited by Interested; 11-14-2006 at 06:05 PM. 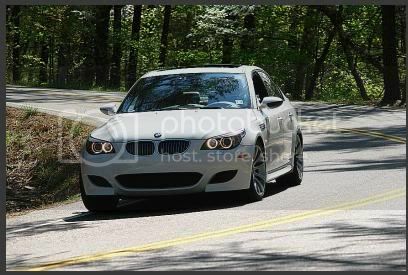 The Tail of The DRAGON, YES!! Sept 2006 EU Delivery: 2,183 miles/ 6 countries/ 10 cities/ 12 days/ 155 mph...0 Tickets! I wont mind leatherete , but saddle brown with montego, no resort! 335i 'ette' sport seats do have the stitching; it's the door inserts that don't. Pre 335 e90's didn't have the extra stitching in the seats. I have had 'ette, leather and cloth...cloth was my favorite with 'ette and leather following behind...IMO BMW leather is not the greatest and it wasn't worth the extra almost $1500 to me...and $ was not an issue as I paid cash for my 335...I just don't think leather is worth it...to each their own though...the 'ette in this car is much nicer than when I last ordered it 7 years ago. I can understand the cloth preference, but for $1,500 (on a $40K+ vehicle (<4%)) you would rather place your body next to a non-breathable, man-made extrusion over a breathable, organic material? As you say...to each his own. That's why they offer options in materials, color, etc. greg, do you find the 'ette to be appreciably hotter than the leather? I too live in a warmer climate and this would be my deciding factor. I agree that the leather is not worth the $1500, unless there is a significant difference in the comfort of the drive. Thanks. You will lose at least $1,000 on trade in or market value without leather so it is a no brainer for me. The feel of leather cannot be repla ced. You do have to maintain it but it's not difficult. If you are spending 40k plus un the car then just do it!